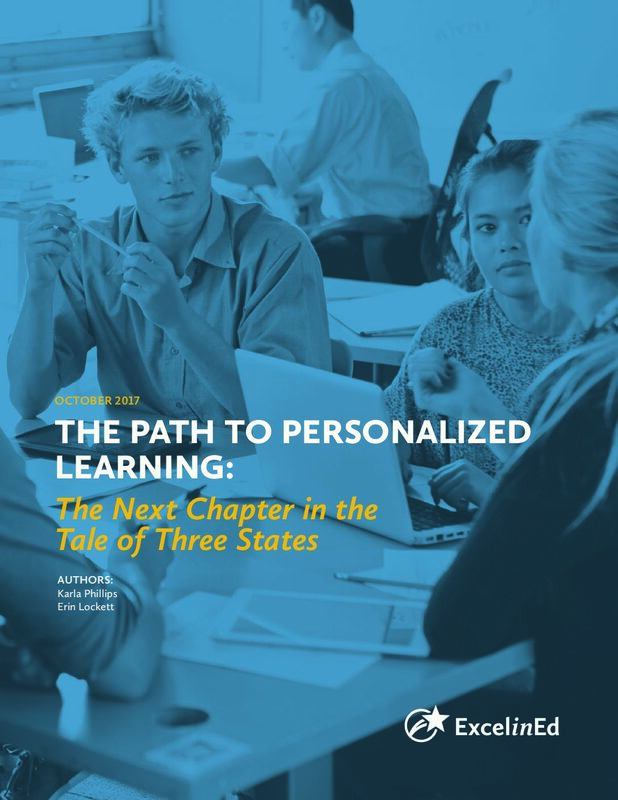 A student-centered approach designed to fully prepare students and ensure that they graduate with the knowledge and skills necessary for college or career. 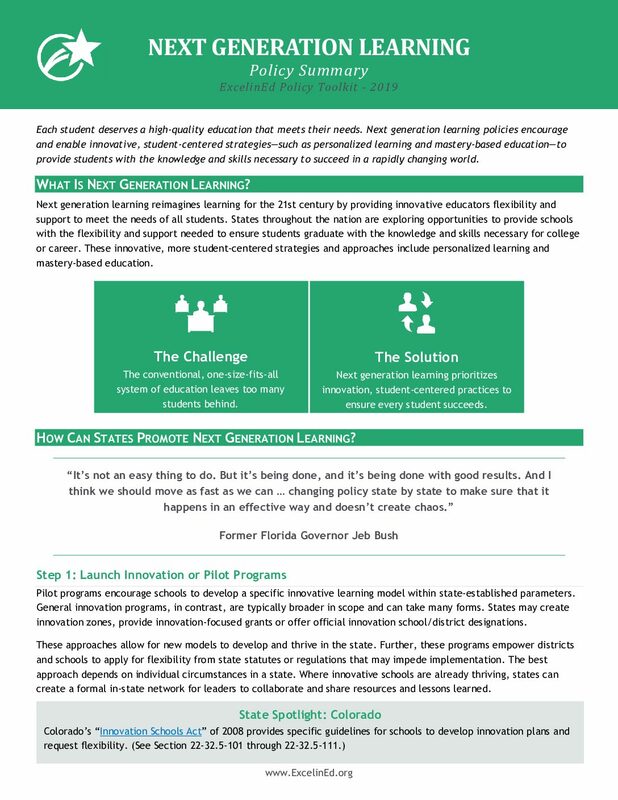 Next generation learning tailors a student’s educational experience to meet their unique strengths, interests and needs. 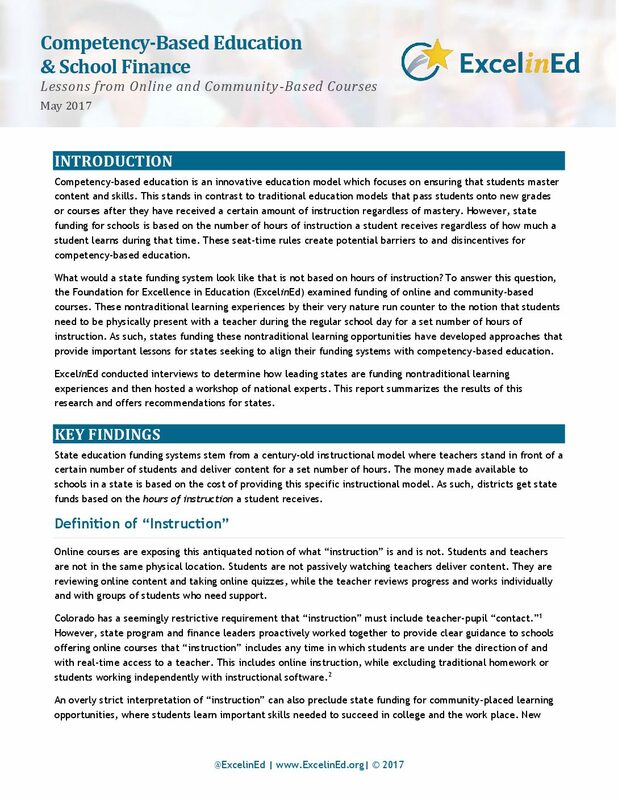 In addition, it provides opportunities for increased interaction with teachers and peers and higher levels of student engagement. 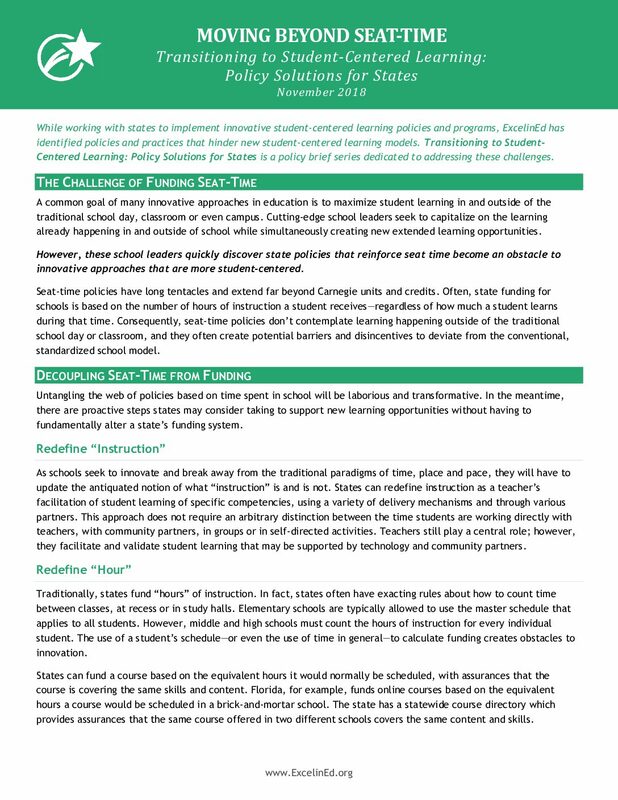 Students are encouraged to play a greater role—and be more invested—in their learning. 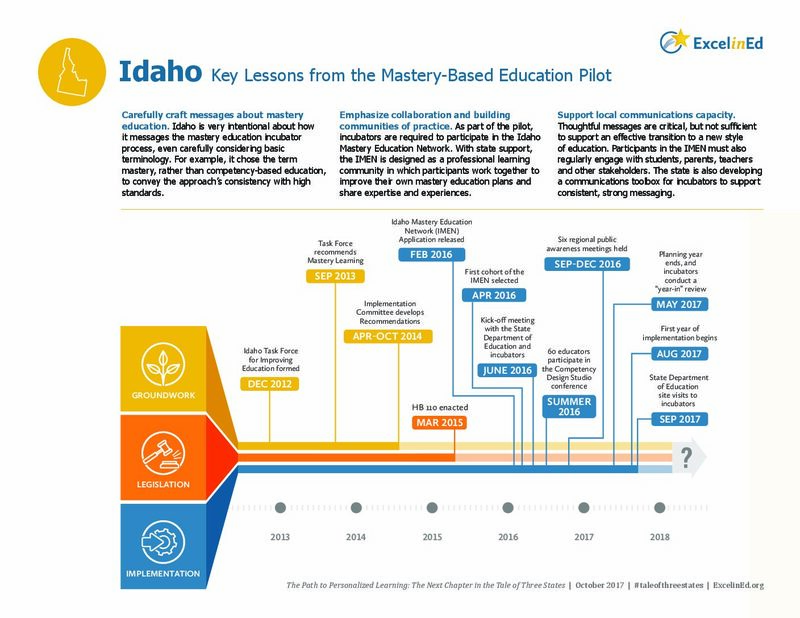 Coupled with flexibility in pace and delivery, Next generation learning is grounded in the idea that students should progress when they demonstrate mastery of key content and skills, regardless of the time spent in class or even where instruction takes place. 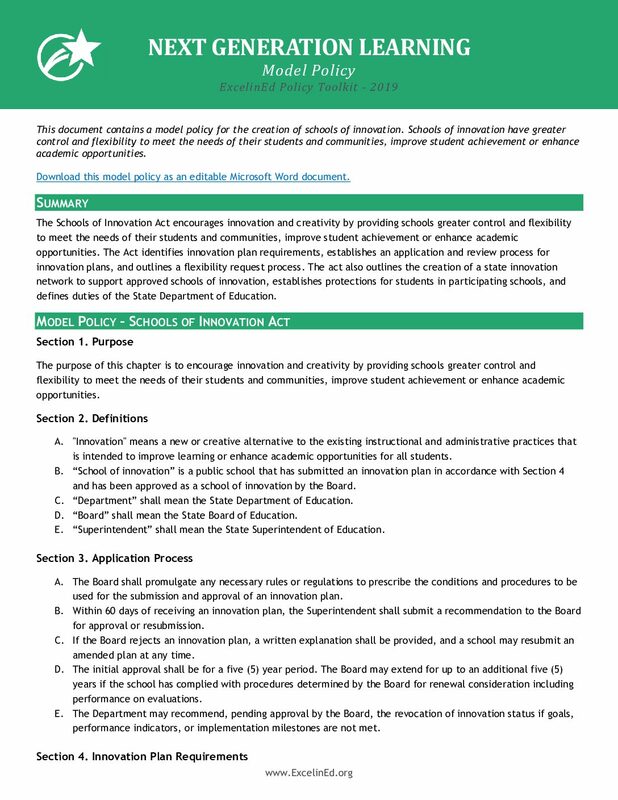 ExcelinEd strives to identify and support the policies that provide local, innovative leaders with the flexibility and support they need to meet the needs of their local communities and to achieve the goals states and schools have set for their students. 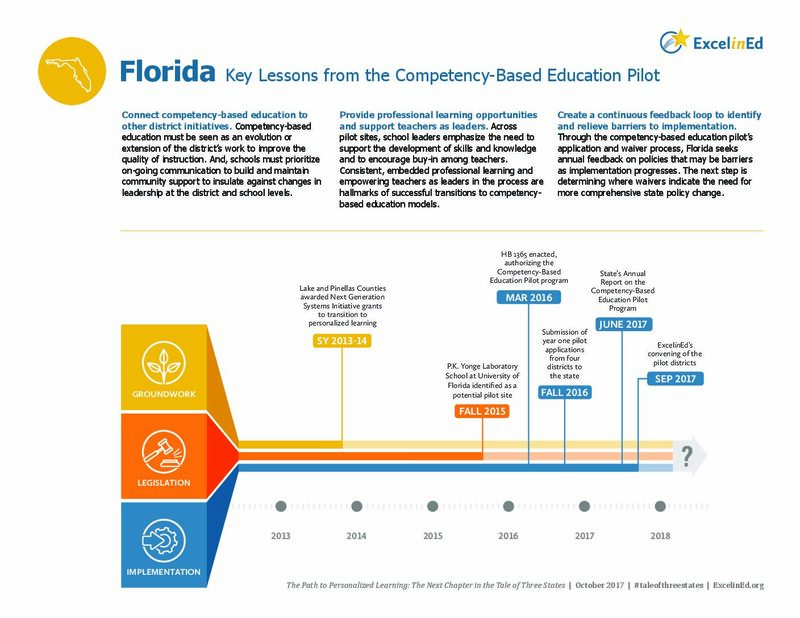 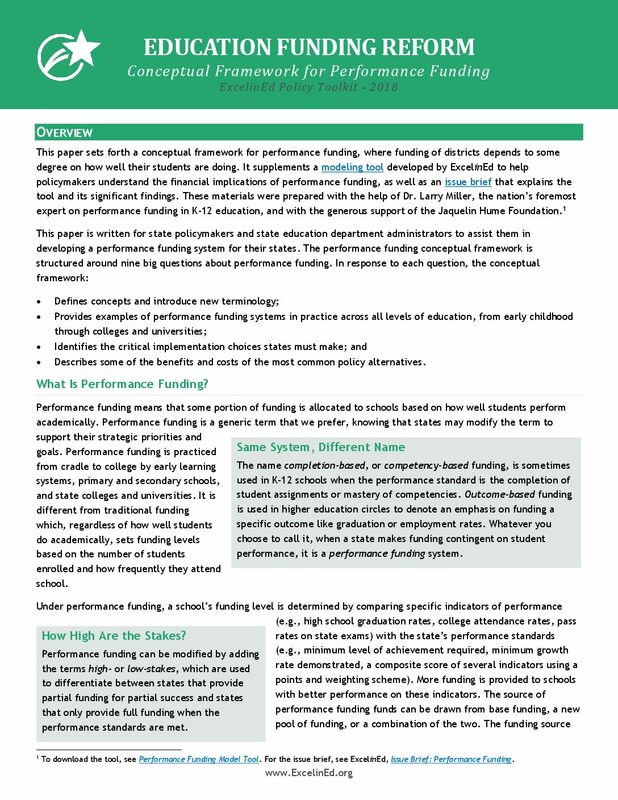 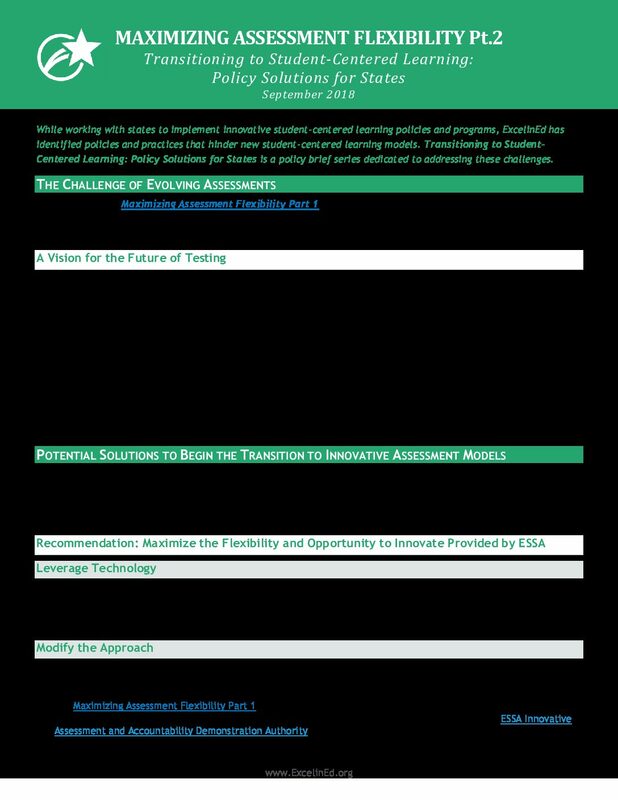 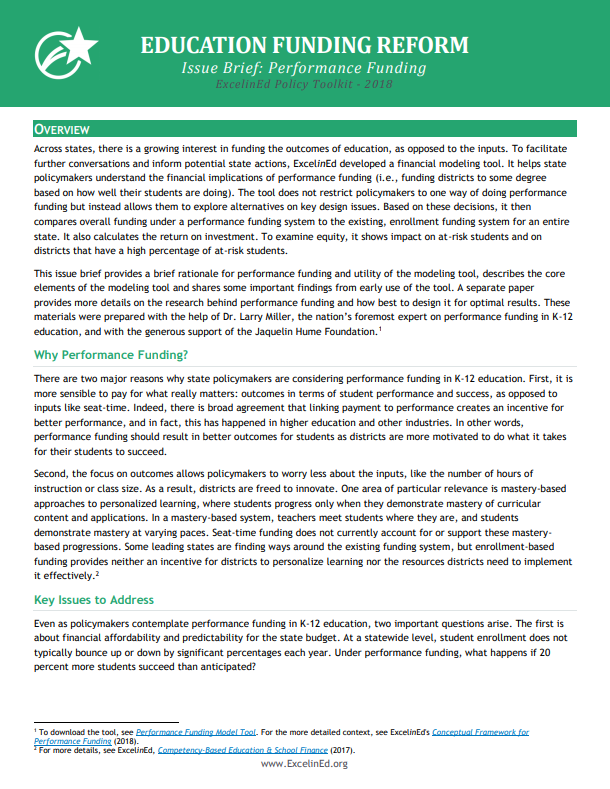 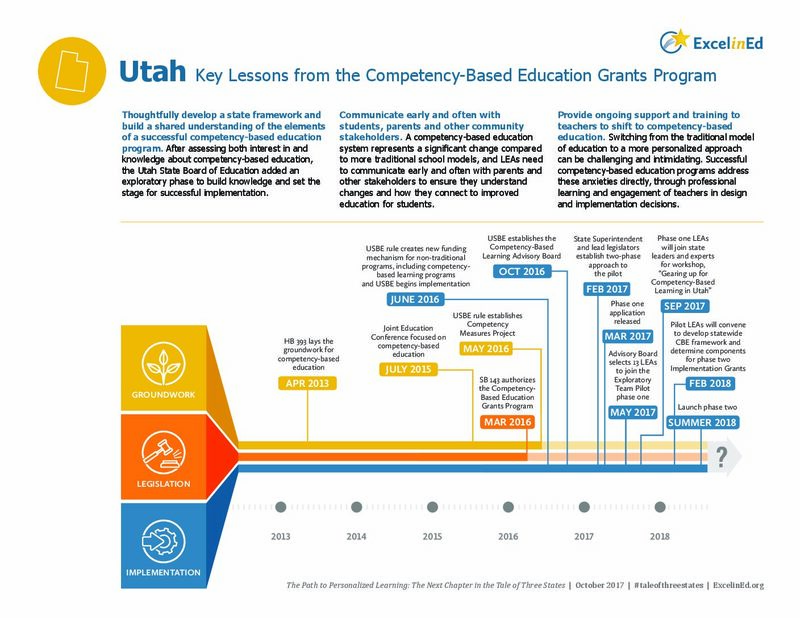 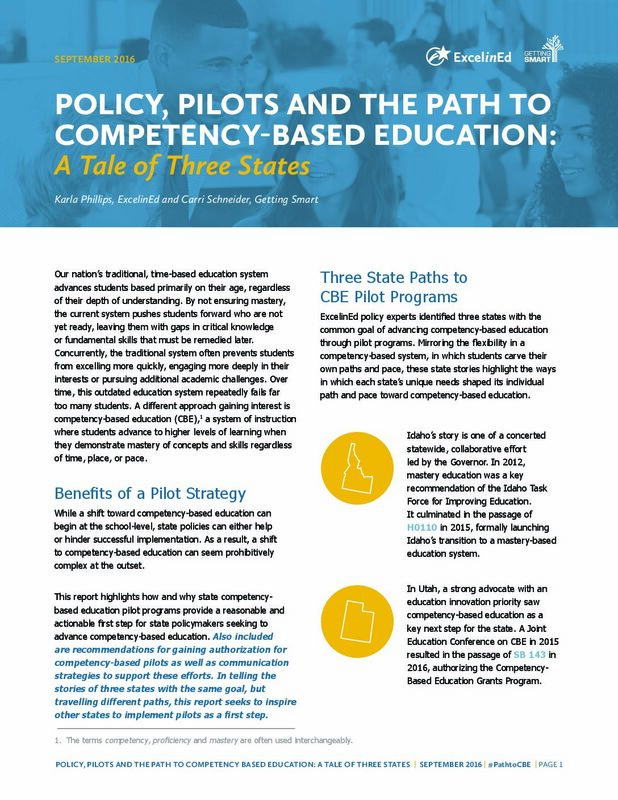 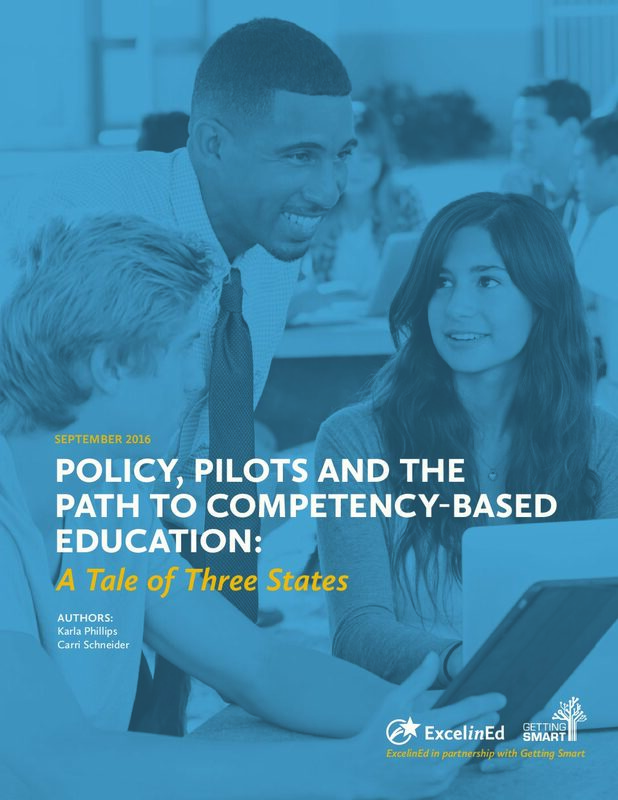 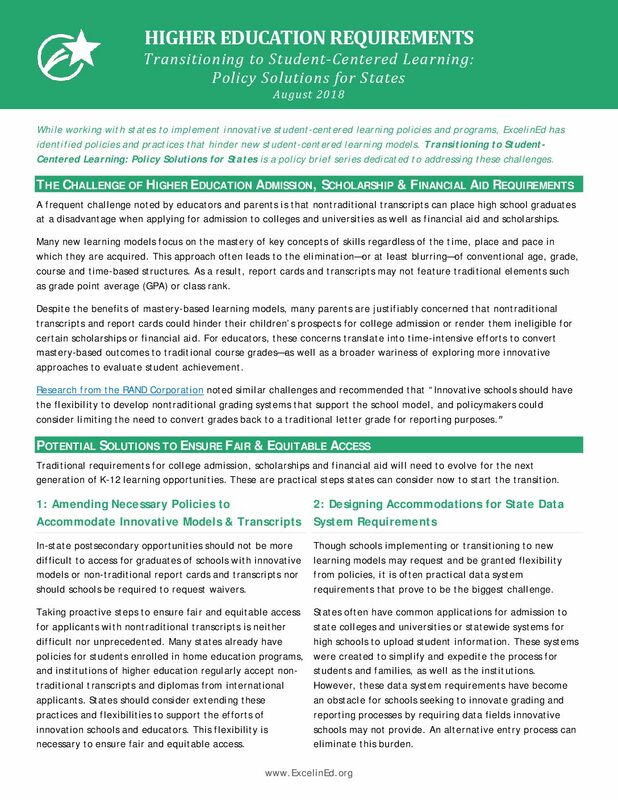 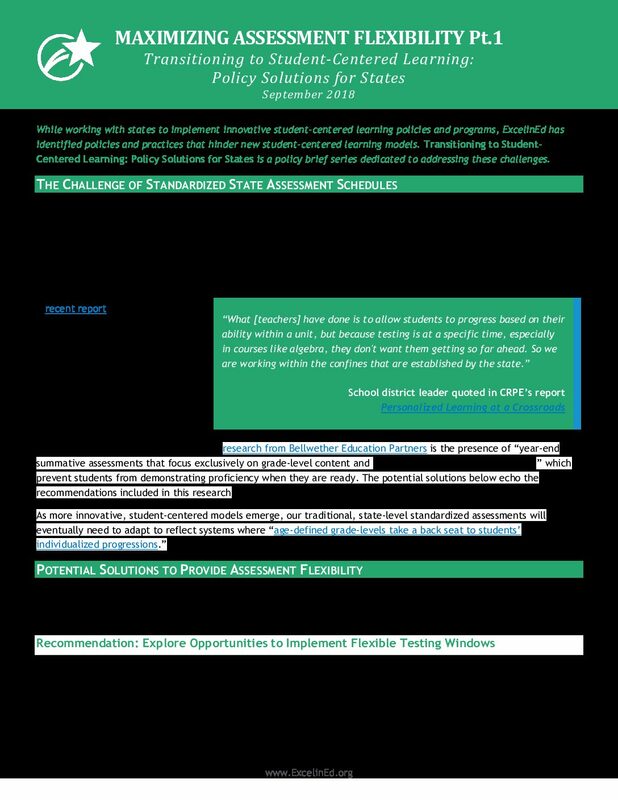 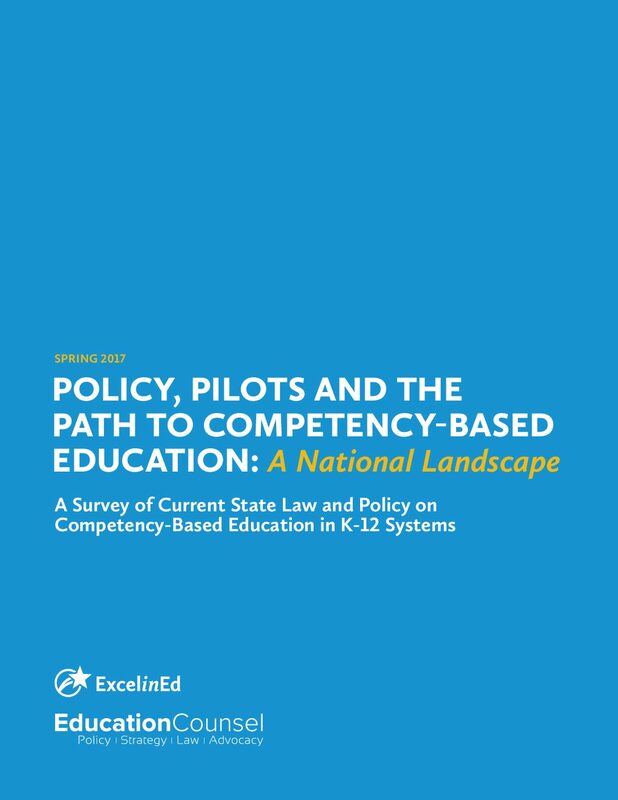 ExcelinEd’s policy brief series Transitioning to Student-Centered Learning: Policy Solutions for States identifies the most frequently heard issues and offers practical solutions for states to consider. 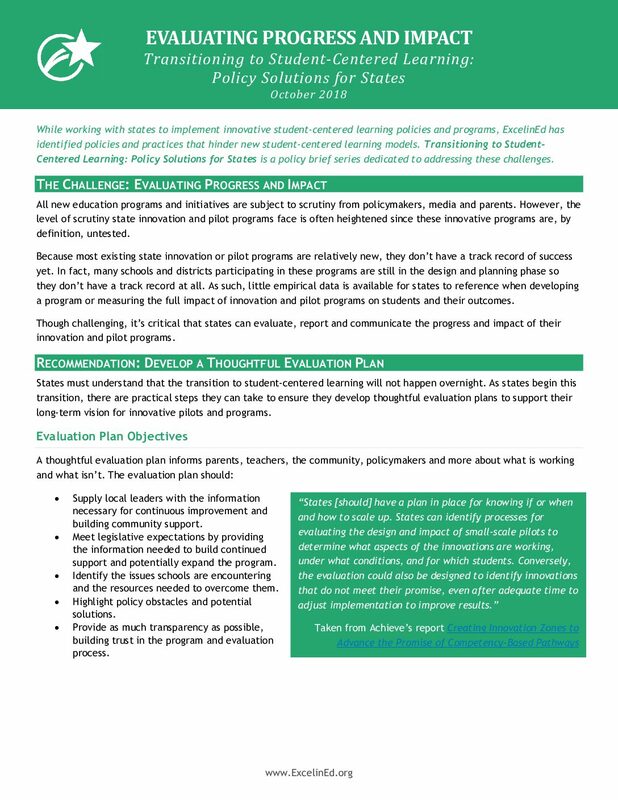 Solutions will require an intentional, state level response that will send clear signals of support to educators and parents alike. 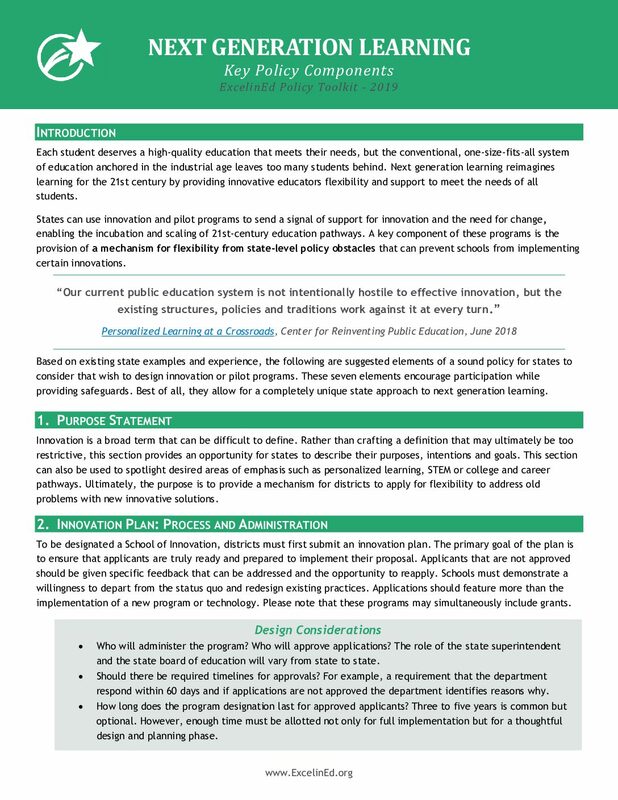 Though states may not be prepared for sweeping overhauls of these areas, we present concrete steps to begin the transition to broader systemic changes necessary for the implementation and sustainability of innovation.